American Tank Maintenance now offers guidance in bracketing selection and custom bracketing solutions to accomplish regulatory cable management goals. Managing cable attachments on water towers has never been easier. 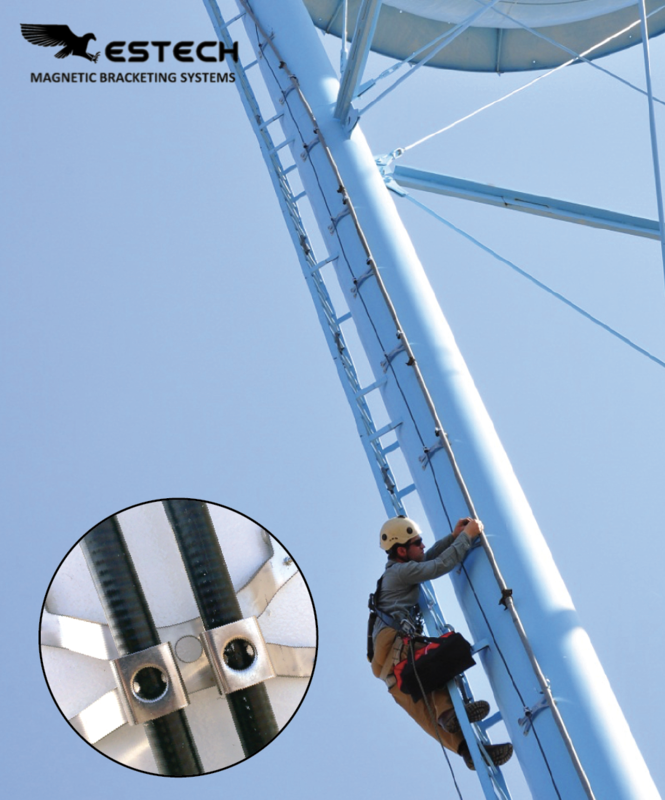 Using high strength rare-earth magnetics, the patented and proven Talon bracketing system offers a multitude of advantages for water tower owners. The Talon bracket requires NO field modification, adjustments or tools. Each order arrives ready for installation and is pre-formed to the curvature of steel to be attached. Compatible with flat, convex and concave diameters. 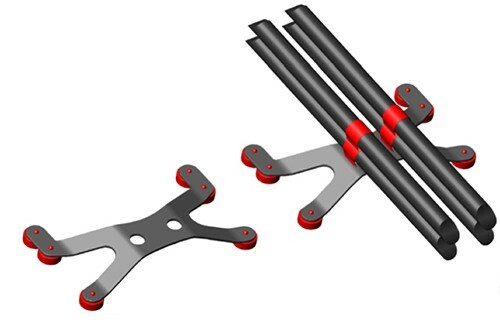 Leave bolting, banding, welding behind and look forward to magnetic bracketing systems. 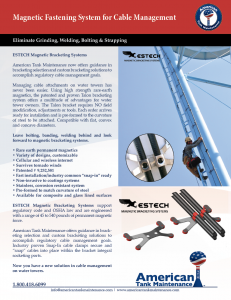 ESTECH Magnetic Bracketing Systems support regulatory code and OSHA law and are engineered with a range of 45 to 540 pounds of permanent magnetic force. American Tank Maintenance offers guidance in bracketing selection and custom bracketing solutions to accomplish regulatory cable management goals. Industry proven Snap-In cable clamps secure and “snap” cables into place within the bracket integral socketing ports. Now you have a new solution in cable management on water towers.